Photo of High Finance Restaurant at top of Tram. 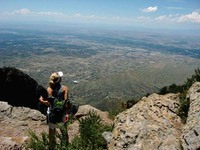 Hiking to the top can be done from either side: Albuquerque or Sandia Park. 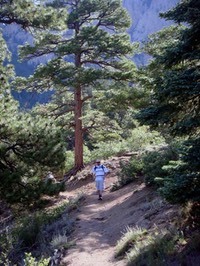 The La Luz trail goes from the base of the Sandia Mountains to the top of the Tram which is an 8 mile hike. 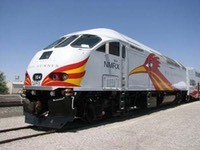 You can now take the Rail Runner from Albuquerque to Santa Fe. They just completed this rail system in 2008. This occurs every year in October. This a great place to visit for art, shopping and dining. 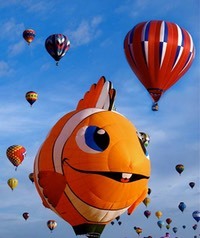 Here are some informative links of the surrounding areas just outside of Sandia Park.